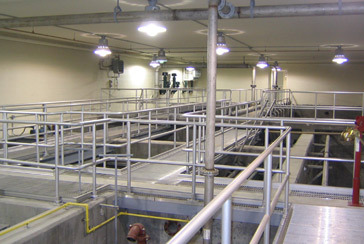 Four Corners Wastewater Treatment Facility - East Fishkill, N.Y. This project included construction of a wastewater treatment facility, which is designed to treat an average daily flow of 130,000 gallons per day for a new community development comprised of 263 lots and 473 acres. The $6.1 million project treats water for residential homes, a community center, a recreational area and a 7,500-square-foot retail space.